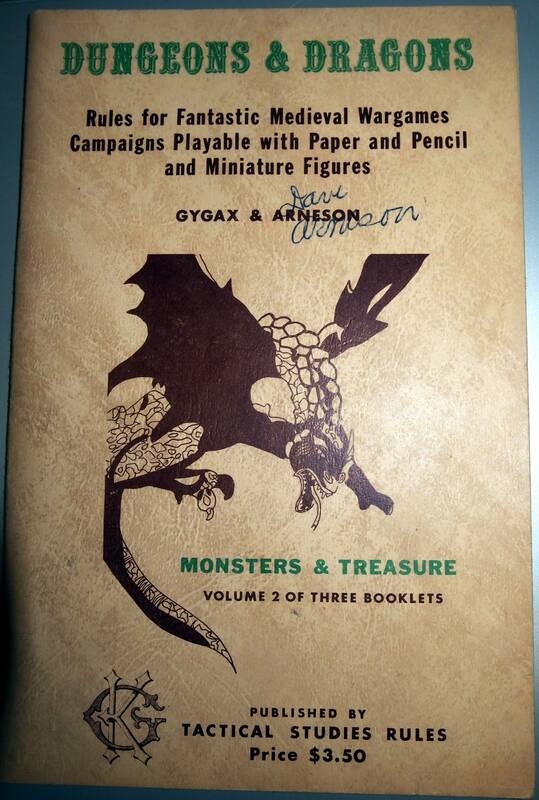 It’s the 40th Anniversary of the release of Original Dungeons & Dragons (OD&D)! 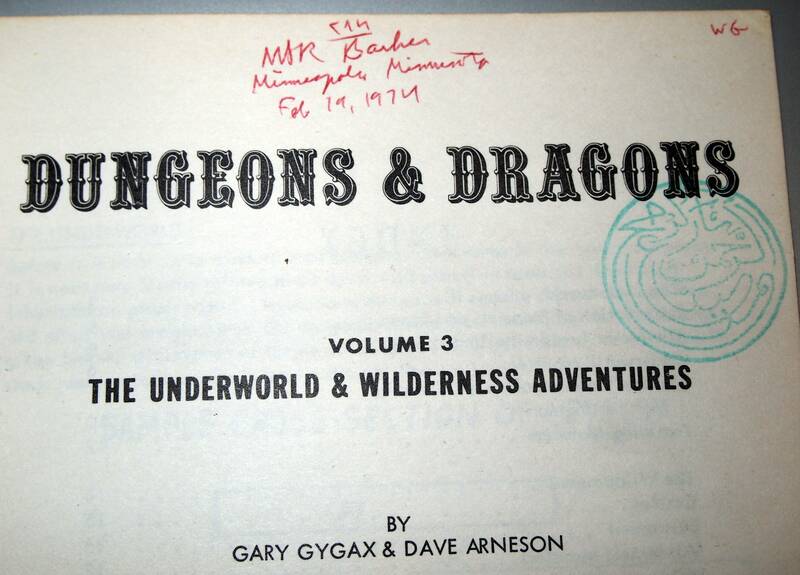 As Jon Peterson has already chronicled, sometime in January 1974 was the original public release date for Original Dungeons & Dragons. It is a anniversary well worth celebrating, as it was the start of a huge shift in popular culture around the world. 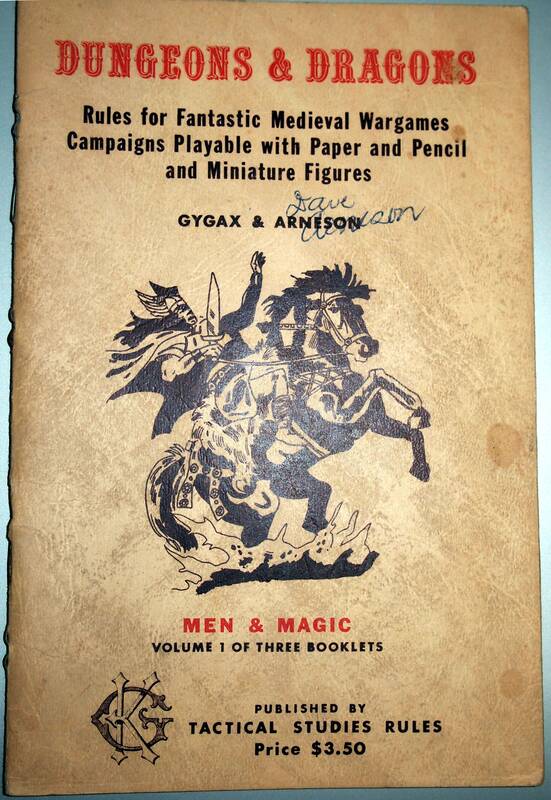 Somewhat less well known is the fact that Michael Mornard – better known as “Old Geezer” in online RPG forums – was the person who introduced Professsor Barker to OD&D in the fall of 1973. Professor Barker was the faculty advisor for the Conflict Simulation Association (CSA), a student organization at the University of Minnesota. 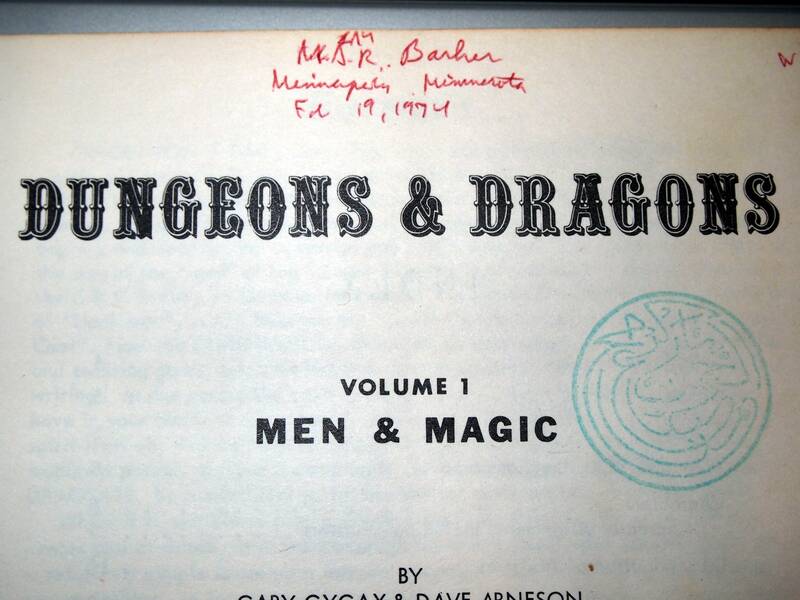 Michael began attending meetings of the CSA, and it was there he began running his own OD&D game, and as a result, gave Professor Barker an opportunity to experience OD&D. Later, in early 1974, Professor Barker produced the “green cover” or “mimeo” set of rules for what would become Empire of the Petal Throne. 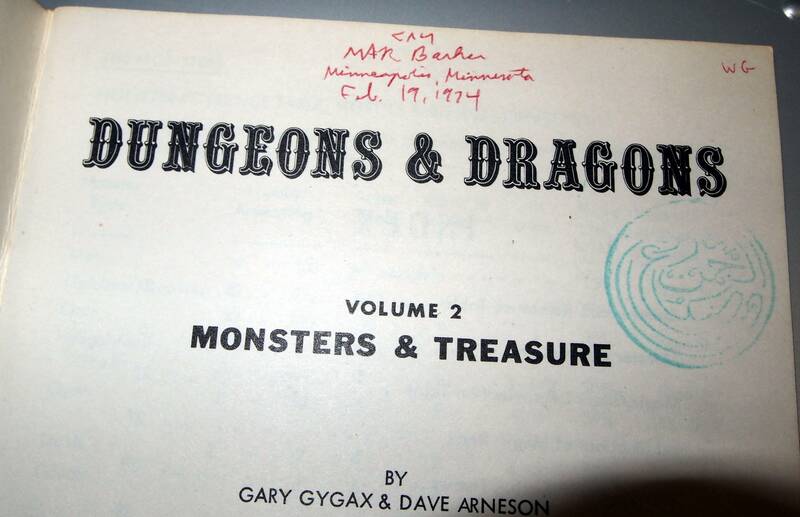 As part of the process of cataloging Professor Barker’s vast collection of games and material related to Tekumel, we discovered Professor Barker’s copy of OD&D. 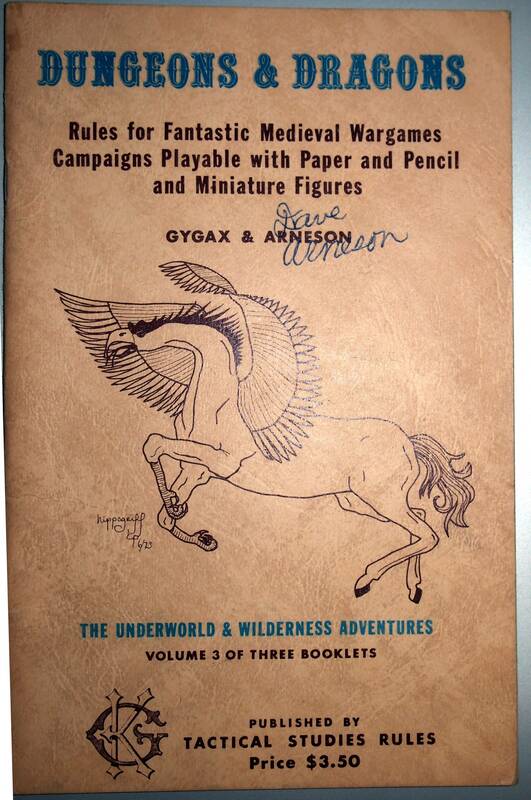 When we looked inside the covers, though, we discovered that Professor Barker not only signed the books but dated them as well. We hope you enjoy these photos, courtesy of Bob Alberti.